A new report from the Union of Concerned Scientists (UCS) provides a timeline for when sea level rising will cause massive flooding. The findings show a handful of Bay Area cities some 50 or 100 years from now could be flooded every other week. While erosion along ocean shore properties has been an ongoing topic of concern, the study found the largest impact in the Bay Area will be from frequent flooding of bayfront communities. 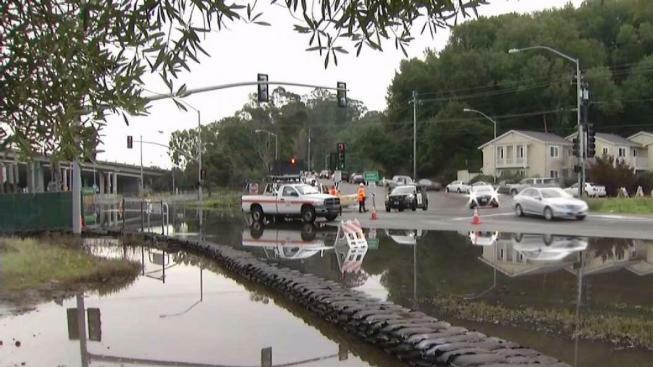 By 2100, the group predicts both Alameda and San Mateo counties will be considered "inundated," defined as an area where 10 percent or more of the usable land floods at least 26 times per year. 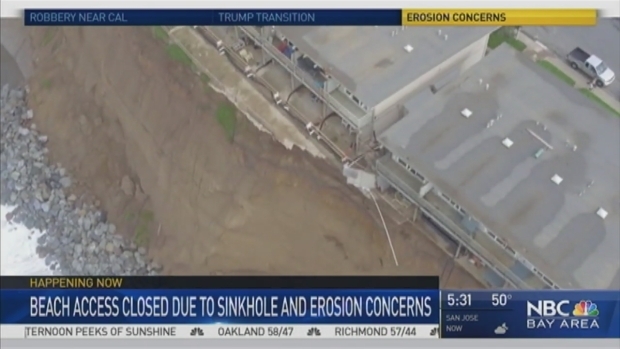 A hazardous sinkhole emerged on a cliff in Pacifica Saturday, closing access to a popular beach and causing concerns about recurring erosion due to heavy rains and high waves. Pete Suratos reports. Climate Scientist Kristina Dahl, who co-authored the report, said that while most of the effects will be seen mid-century, several local areas will begin to experience flooding within two decades. "For hundreds of cities around the country, there is a limited window to start preparing for sea level rise," Dahl said. Currently, the UCS estimates about 90 communities in Louisiana and Maryland are considered inundated. A landfill teetering on the edge of the eroding coastline, airports in the area and a quickly eroding coastal bluff are of particular concern to the county, according to a vulnerability assessment surveying cities for the last two years. However, Dahl notes the timeline is a bit more forgiving for the West Coast as the seas continue to rise at a much slower rate than on the East and Gulf Shores. "When the East and Gulf Coasts have a combined 270 to 360 communities...the West Coast has only two or three," Dahl concluded. Dahl says that while the Bay Area has been a leader in innovative projects to study sea level rise, it has been more difficult implementing change in other regions. 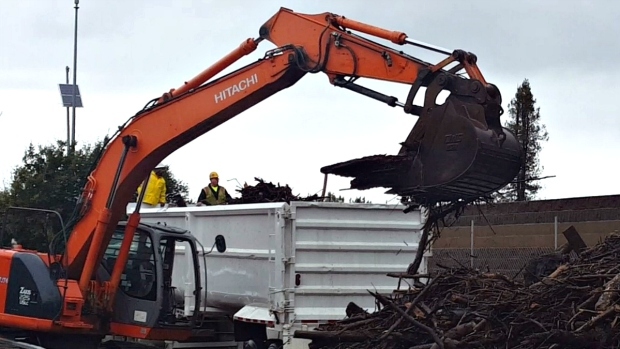 After a year of teetering on the edge, a cliffside apartment building at 310 Esplanade in Pacifica on Monday was demolished. 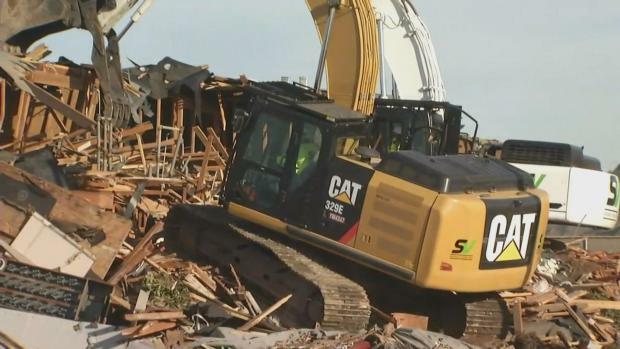 Demolition was over in a matter of hours, but a complete cleanup process could take a few days. Michelle Roberts reports. "We have found in the course of our work that the basic acceptance that the sea level is rising is a challenge," Dahl said. "That does a disservice to their planning efforts." In East Palo Alto, City Manager Carlos Martinez said the city is already teaming up with neighboring communities to find a solution. He said the environmental engineers are designing a levee or sea wall that would protect several cities along the Peninsula. The projects currently underway in Bay Area cities are long term, and Dahl expects it may be another decade before results from these projects can conclude its effectiveness in mitigating the expected damage from sea level rise. Michelle Roberts contributed to this report.